Just completed and ready for its new owners, this custom-built home offers an unparalleled lifestyle in leafy Tarragindi. Thoughtfully designed to blend clever features with unsurpassed quality, the home was designed in complete harmony with leafy, private surrounds to take advantage of a glorious bushland corridor. The lower level blends functionality and space and features an open plan living, dining and kitchen area. A large media room/home theatre is the ideal spot to enjoy the footy or watch a movie, whilst a bathroom and study or potential 5th bedroom provides additional space with added options for guests. High ceilings and a neutral colour palette create a versatile environment that promotes natural light and airflow throughout the home. The centrepiece of the main, open-plan living area is the high-end gourmet kitchen, soft close cabinetry, quality SMEG appliances including a 900mm oven and Induction cooktop, ample storage, plus adjoining butler’s pantry. This is a practical and functional space that the chef of the home will appreciate, well equipped to cater for everyday meals through to large gatherings. Designed to encapsulate the ideal Queensland lifestyle, glass sliding doors provide an easy interaction to the covered alfresco area which overlooks the pool area. Relax with a glass of wine with friends and family while the kids play around in the yard and pool. The upper level consists of a family room, four very generous bedrooms and a reading area or gallery, which is the perfect spot for the morning coffee and paper while overlooking the tranquil surrounds. All bedrooms on this level come opulently equipped with their own ensuite and walk-in robe, whilst the master suite is a private sanctuary boasting space, an ensuite with bath and shower, plus ‘his’ and ‘hers’ walk-in robes. Excellent location only 7kms from Brisbane CBD, set in the ever-popular Wellers Hill State School Catchment, easy access to convenient public transport routes, boutique cafes, and parks. To see just how well this home supports family and entertaining, contact Mitchell or Nick organise an inspection today. 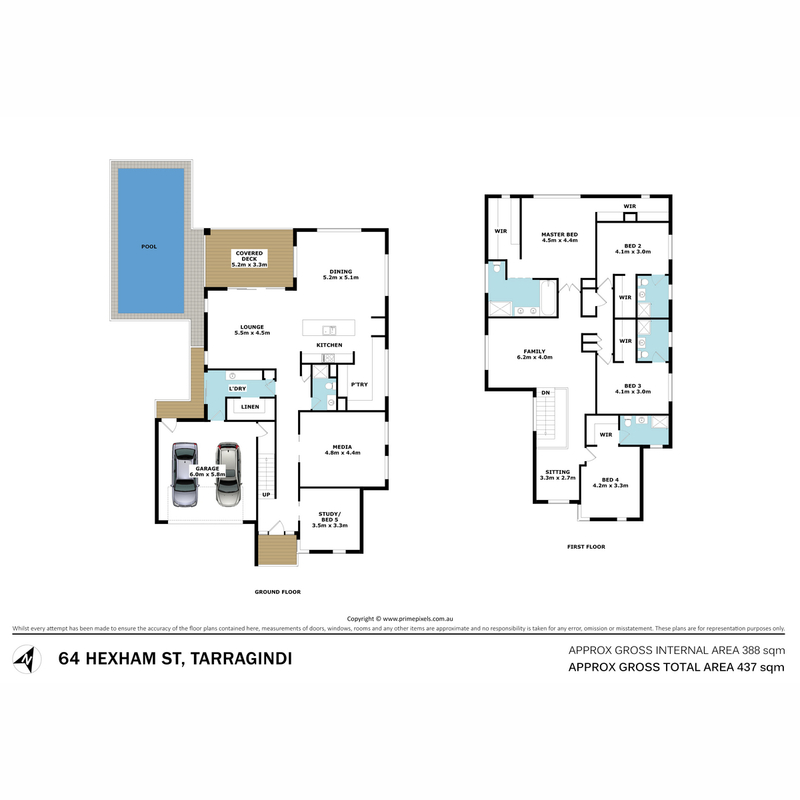 Email agent about 64 Hexham Street, Tarragindi QLD 4121.